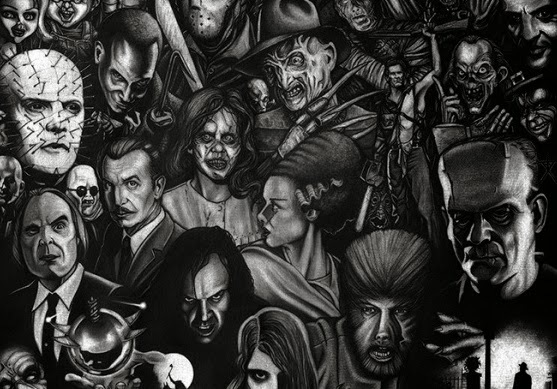 This Undead Monday, we take a look at the most unforgettable horror icons in Hollywood history courtesy of illustrator Ted Bracewell. Last Halloween, we saw an unprecedented amount of Halloween-themed prints being released and have covered on a good number of them ourselves. 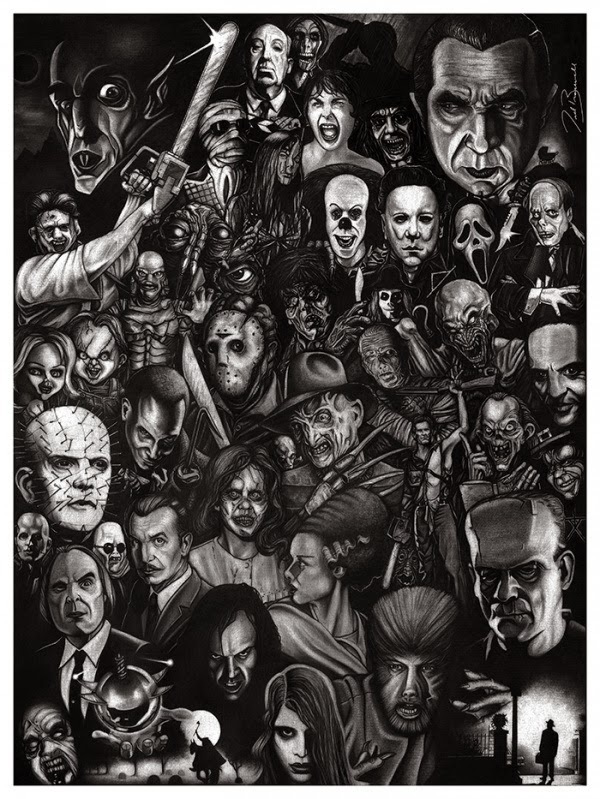 Stumbled upon just this week is this awesome prints paying homage to all the original iterations of the horror icons in Hollywood history. A moody piece conjured in full grayscale by illustrator Ted Bracewell in pencil, the print was released last Halloween at $25 and is understandably sold out now. Hit the jump to check out the awesome print right after the jump and check out Poster Collective for an interview with Bracewell.